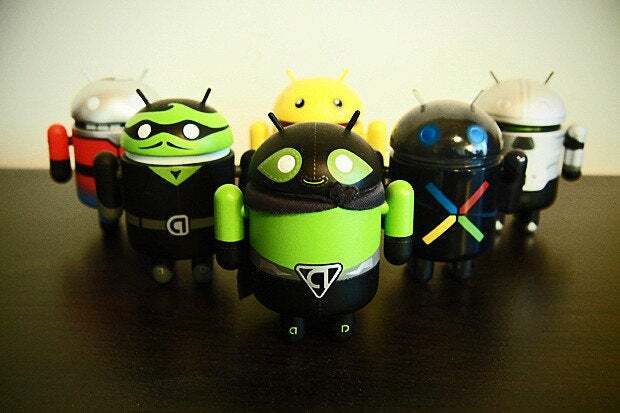 So many Android phones -- so which one should you buy? Some real-world recommendations from someone who's lived with 'em all. The best part about picking out a new Android phone is the huge level of choice and diversity the platform provides: With so many different manufacturers creating devices, there's something available for practically every purpose and preference imaginable. But you know what? That can also be the worst part about picking out a new Android phone. With so many choices, it can be damn-near impossible to make a decision and figure out which one is right for you. As a guy who reviews Android devices for a living, the most common question I hear is: "What's the best Android phone out there right now?" And while I'm a firm believer in the fact that there is no single universal "best phone" for everyone, there is a group of elite devices that I tend to recommend for different needs and desires. These recommendations are based on my own experiences living with all the various Android devices released over the past several months. They have nothing to do with marketing prowess or sales figures; I couldn't care less how many units a manufacturer manages to move or how recognizable of a brand it has. I care only about what its phones are actually like to use in the real world -- and how they compare with the other options available. These are the phones I'd buy myself and recommend to my own friends and family. When it comes to overall user experience, the Moto X is a tough phone to beat -- and that's why it's always the first one I suggest when someone just wants an awesome all-around device they'll love from the moment it powers on. 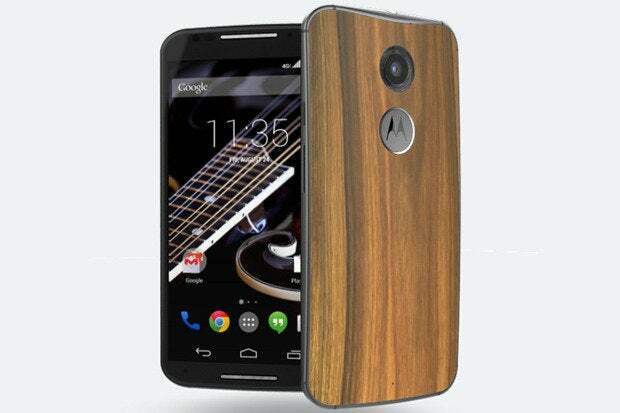 The new Moto X device is ergonomically designed and feels great in the hand. And in a particularly cool twist, it's custom-built the way you want, so you can get it in any number of color and material combinations -- including ones with real wood or genuine leather. The phone has some nice design flourishes, too, like an aluminum frame that gives it a noticeably more sophisticated and premium vibe than its predecessor. And then there's the software. Motorola takes the bold approach of sticking with Google's core Android user interface and not arbitrarily mucking things up for the sake of change, as most manufacturers do. The result is a clean and beautiful setup that's a pleasure to use -- especially with the new Android 5.0 Lollipop release, which is already available on the unlocked Moto X and little by little making its way to the various carrier-connected models. Motorola does add in a handful of useful feature enhancements, like the ability to set your own custom launch phrase for voice control and to see the current time and any pending notifications simply by touching the phone or waving your hand over it. It also provides a valuable driving mode in which the phone can automatically detect when you're driving and then enter into a fully hands-free state. Factor in an excellent 5.2-in. display, exceptional speaker, impeccable performance, and a surprisingly capable camera -- and you've got a compelling overall package that shows just how good Android can be. 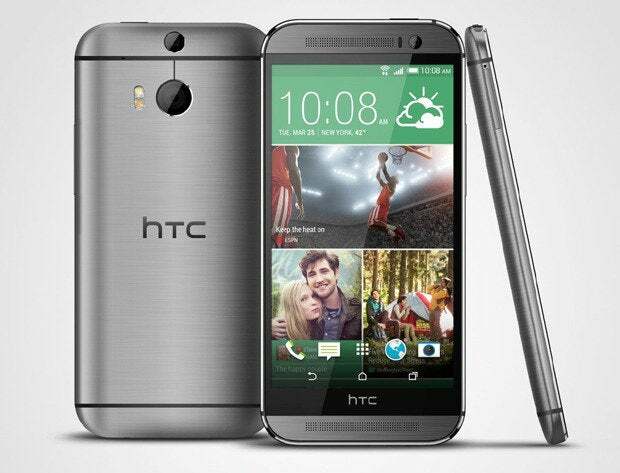 HTC's One (M8) is a luxurious phone -- a gorgeous all-metal device that's sleek, classy, and as premium as it gets. If you want a phone that screams "high-end elegance," the 2014 One is it. HTC has developed a distinctive style and design with its devices, and there's no other phone that looks or feels quite like this. And Quad HD, Schmad HD: The One (M8) has one of the best-looking displays you'll find on a smartphone today, with a finely tuned level of contrast and color saturation that makes it like candy to the eyes. The 5-in. 1080p panel is truly a treat to view, whether you're browsing the Web or watching high-def videos. On a related note, the M8's speaker setup is second to none. The phone has dual front-facing stereo speakers that put most other mobile devices to shame. If you spend any time consuming multimedia content on your phone, you'll really appreciate the phenomenal sound these suckers deliver. The M8 does come with a couple of caveats: As a result of its speaker placement, the phone is unusually tall -- which might be a turnoff for some people. The device's camera is also less versatile than some, as it produces smaller files that aren't terribly well-suited for post-capture cropping. It's capable of taking some great-looking photos in everyday use, though -- which is what matters for most consumers -- and it does exceptionally well in low-light environments. HTC's still doing its own thing with software, meanwhile, and it's about the only manufacturer that actually pulls off a custom UI well. The company has also promised to get Lollipop (well, its own take on Lollipop) to all of its M8 devices within 90 days of the software's release -- so by the start of February -- which is a valuable assurance to have. All in all, the One (M8) provides an admirable out-of-the-box experience. Its style and appeal are more specifically focused than the Moto X's, which I'd view more as "the Android phone for everyone," but HTC's latest effort is hands-down one of the platform's finest options and always the other choice I present to people asking for a general recommendation. Full review: HTC One (M8): Smartphone sophistication made better + HTC One (M8) revisited: 4 months later, does the phone still impress? It may not be the obvious selection, but my recommendation for the best overall experience in a plus-sized device is Google's new Nexus 6. Unlike other gigantic phones, the Nexus 6 manages to provide an ergonomic form that's actually comfortable to hold despite its inherent heft. It's not entirely surprising when you consider that the phone is made by Motorola and is basically a scaled-up version of the aforementioned Moto X. 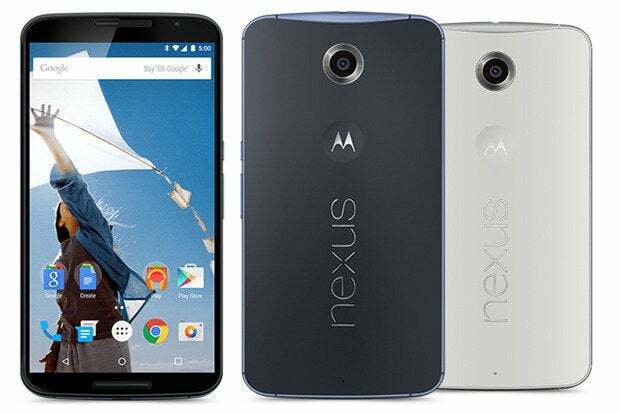 The Nexus 6 is elegant and visually attractive, with the same minimalist vibe and subtle curves seen on the X (though only with a soft-touch plastic backing -- no leather or wood materials here). It has a spacious and spectacular-looking 6-in. display with dual front-facing speakers as well as top-notch performance, solid stamina, and an outstanding camera. And it runs pure Google Android 5.0 Lollipop software, which provides the most polished and visually consistent interface available -- something that makes an immeasurable difference in what the device is like to use. The Nexus 6 lacks some of the specialty features seen in Samsung's Galaxy Note 4 -- the most well-known plus-sized phone option -- and consequently, the Note 4 may be the better choice for some people (fear not; we'll get there in a moment). For most typical consumers, though -- those who don't have specific requirements and are just looking for an enormous phone that's comfortable to hold and pleasant to use -- the Nexus 6 is the way I'd go. Finding a compact phone that doesn't cut corners isn't easy these days. With most standard-sized flagships now packing screens that are 5-in. at a minimum, there aren't many options left for folks who want something smaller but still flagship-caliber. There is one option, though -- and it's a good one. 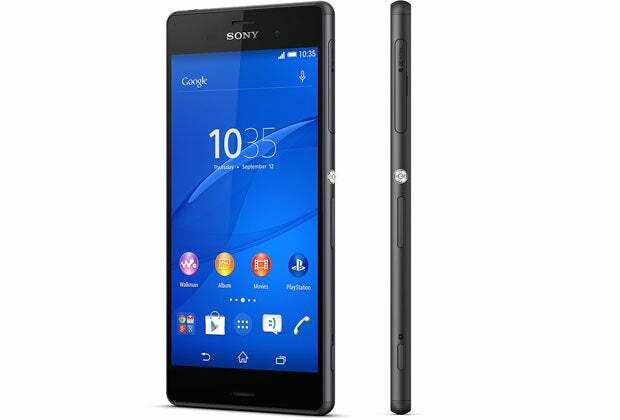 Sony's Xperia Z3 Compact is a hell of a device, with a distinctive and premium glass-centric design and a body that measures in at 5.0 x 2.6 x 0.34 in. That's close to the same size and actually even a hair smaller than the original (2013) Moto X, which was the last standout option we had for a small-sized smartphone. The Z3 Compact has a great 4.6-in. display, problem-free performance, and incredible battery life. It's waterproof, too, and can even take photos underwater. Speaking of the camera, the Z3 Compact snaps some of the most impressive pictures I've seen from a smartphone. You won't be disappointed. The phone has a couple of other interesting perks, like excellent front-facing stereo speakers and the ability to stream and play PlayStation 4 games from a console connected to the same network. Sony's software, meanwhile, is decent but not exemplary. It's without a doubt the phone's weak point, but it's also all relative: You'll get a better UI with any of the devices mentioned above, but Sony's setup is superior to what you'll get from most other manufacturers' products (here's lookin' at you, Samsung and LG). If you want a compact phone that doesn't compromise, the Z3 Compact is without a doubt the way to go. The catch is that here in the States, you can buy it only unsubsidized and directly from Sony. You can thank the carriers for that. Samsung's Galaxy Note 4 doesn't have the most elegant or ergonomic design, nor does it have the most consistently smooth performance or compelling user experience -- but it does offer some unusual specialty features that make it an option well worth considering for some users. For one, the Note 4 has an excellent integrated stylus that's in a completely different league from any third-party accessory you could buy. For artists or anyone else who likes the idea of drawing or writing on a smartphone screen, that's a meaningful perk you won't find anywhere else. The Note also provides the genuinely useful ability to view multiple apps on-screen at the same time, which is valuable particularly with the large-screen form. And it provides an SD card slot for external storage expansion along with a user-replaceable battery. 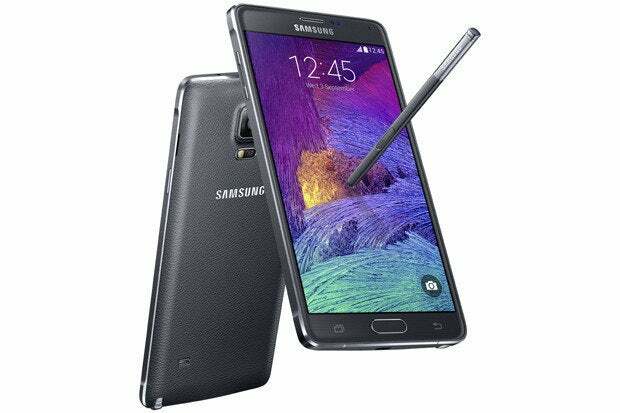 If any of those options appeals to you and you're looking for a plus-sized phone, the Note 4 is the one to check out. 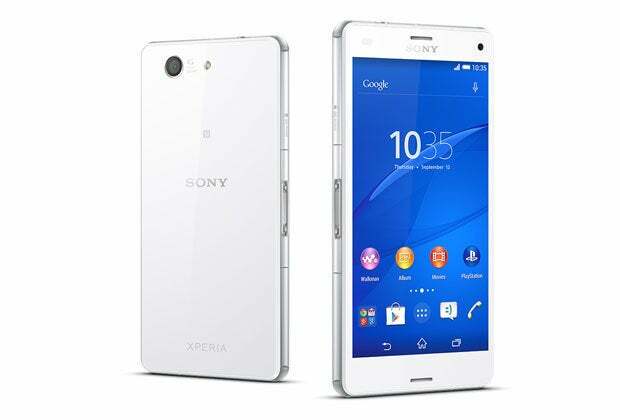 Sony's Xperia Z3 is essentially just a larger and more standard-sized version of the Z3 Compact described above, so I won't repeat all the details about its feature and design strengths. It has some tough competition in its class, particularly considering its limited availability in America -- where it's sold only by T-Mobile or unlocked directly from Sony -- but if you like the distinctive glass-centric style and want a device that's capable of taking photos underwater, it's an excellent option to consider. 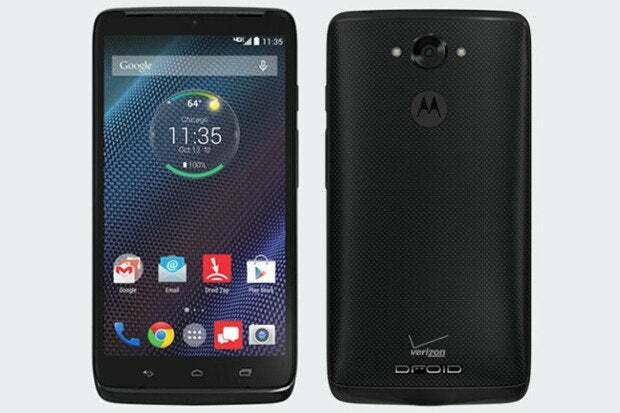 Motorola's Droid Turbo is a beefed-up and ruggedized version of the Moto X that's offered exclusively via Verizon in the U.S. (A rebranded version of the phone is also available in parts of Latin America.) It trades the X's sleek and sophisticated styling for a more industrial and utilitarian vibe. Along with that change comes an extra-durable form and a big boost in stamina: While the Moto X will get most people through a full day most of the time, the Droid Turbo is damn-near impossible to drain in a single day -- even if you use your phone nearly nonstop from morning to night. As I said in my hands-on comparison of the two devices, the Moto X is the more mainstream phone that strikes a balance to provide the best all-around experience for most people. The Droid Turbo is a specialty phone for folks who need extreme stamina and/or an extra rugged device -- and are willing to sacrifice things like sleekness and design in exchange for those qualities. If those qualities are important to you, the Droid Turbo is the one you want. For a phone that doesn't break the bank, it doesn't get any better than Motorola's 2014 Moto G. The Moto G is by no means a premium device, but for $180, it delivers an admirable user experience that's unmatched in the budget-level range. To be clear, we're talking $180 outright -- no contracts, no commitments, no obligations to pay inexplicably high monthly bills for the next 24 months of your life. You can take the phone and use it wherever you want, including at a prepaid carrier that'll charge you as little as $30 to $45 a month, no strings attached. 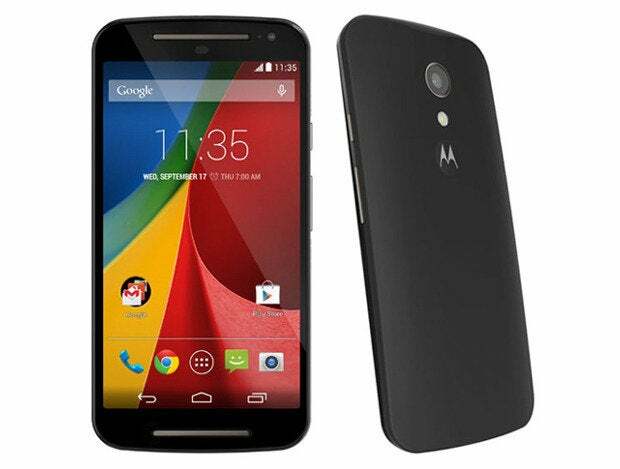 For that cost, the Moto G gives you a simple but comfy design, a decent-looking 5-in. 720p display, and performance that's perfectly respectable -- not at all slow or laggy, though certainly not as snappy as what you'll get from a higher-end phone. The Moto G lacks other niceties you'll find in more expensive devices, like LTE support (it offers HSPA+ only) and a top-notch camera. But it has Motorola's typical "stock-plus" approach to software, as described in the Moto X entry above, and is all around quite enjoyable to use. If you want the best possible smartphone experience, a phone of this caliber isn't going to be for you. But if you're looking to buy something in the budget smartphone realm, the 2014 Moto G is the only phone you should even consider. Full review: Living with the Moto G (2014): How good can a budget phone be? What about all the other Android phones? There are a lot of appealing Android devices out there these days -- something for practically every preference imaginable, as I said at the start of our discussion. After living with all of the significant contenders over the past several months, the phones listed here are the ones that stand out the most to me based on the big picture of what they're like to use in the real world. They're by no means the only good Android phones available; they're simply the ones that I would (and do) personally recommend. If you use or like a phone that isn't on this list, that's okay, too. Brand loyalty, feature priorities, and personal preferences are always going to affect our buying decisions. That's why we have so many choices in life and in technology. If you already know what you like, by all means buy it and enjoy it. If you're looking for a recommendation, though -- one from a guy who lives and breathes Android and has spent months getting to know all the noteworthy options available -- these are the phones I'd steer you toward. They'll give you some of the best real-world experiences you can find on Android today, and in my book, that's what counts the most.